Draw brilliant and bold colours with these Jasart Colour Pencils. The Jasart colour pencil offers excellent colour laydown and are non-toxic and acid free. Ideal for students, artists and hobbyists. These pencils come in a sturdy designer tin which will allow you to carry them with you. Jasart Colour Pencils have extra smooth brilliant colours with soft, break resistant leads. The best selling adult colouring book! Beautifully illustrated, The Mindfulness Colouring Book is filled with templates for exquisite scenes and intricate, sophisticated patterns, prompting you to meditate on your artwork as you mindfully and creatively fill these pages with colour. Take a few minutes out of your day, wherever you are, and colour your way to peace and calm. 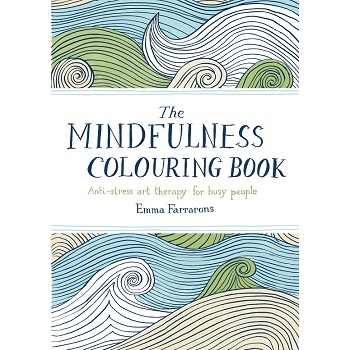 The Mindfulness Colouring Book, Anti-stress art therapy for busy people by Emma Farrarons. Dimensions - 178 x 124 mm Paperback with 112 pages. Alleviate anxiety and soothe all stress with The Little Book of Calm Colouring. 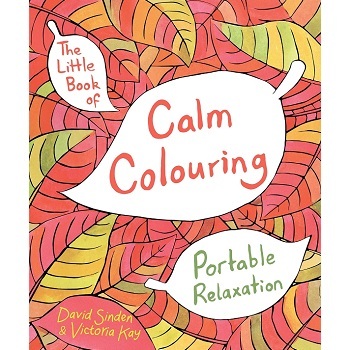 The Little Book of Calm Colouring, Portable Relaxation by David Sinden & Victoria Kay. Dimensions - 179 x 126 mm Paperback with 128 pages. Take a second to escape from your busy world and clear your mind with this beautiful title that will delight and inspire even the most reluctant adult colourer. Each book contains stunning illustrations to help you relax and de-stress. With no text to direct you, there is no need to be intimidated - what you do is up to you! 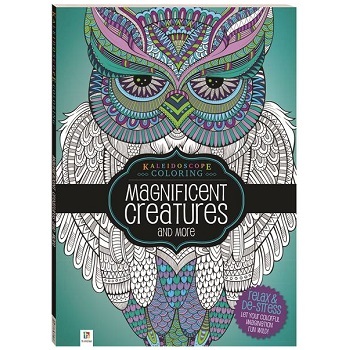 Magnificent Creatures and More by Kaleidoscope Colouring. Dimensions - 296 x 210 mm Paperback with 96 pages. 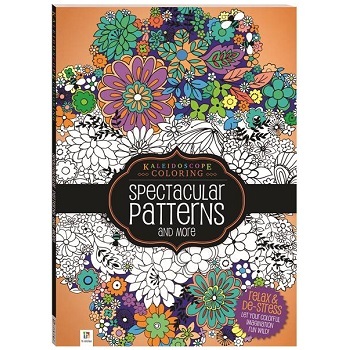 Spectacular Patterns and More by Kaleidoscope Colouring.